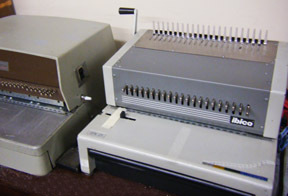 Fax: We can either receive or send faxes for our clients. 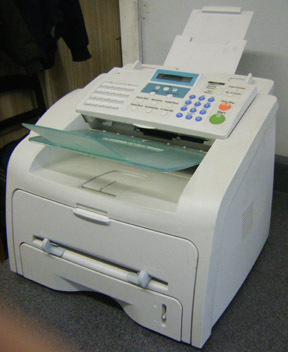 If desired, you can provide our fax # to your party and have the document waiting for you to pick up when you arrive at our shop. 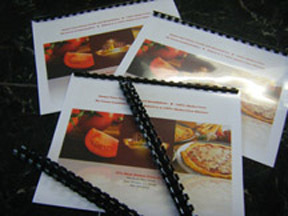 Finishing and bindery services: Any document produced can be padded, cut, bind (spiral or GBC). 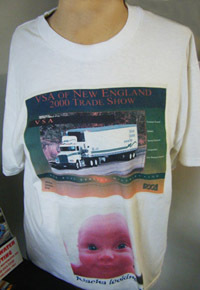 T-Shirts: We print full color images onto t-shirts, the minimum quantity is one. 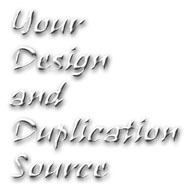 We do not require either large quantities nor do we charge extra fees. We can also do single-color vinyl transfers for dark shirts. Turnaround time is usually one day. Laminations: We use pouch laminations for any size between 2"x3" up to 11"x17". 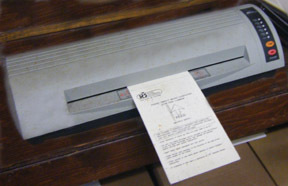 We also have a 42" poster laminator. Labels: Come see our catalogue for the wide variety of label stock/colors/sizes available. Wedding Invitations: We have 6 different catalogues from which you can choose the package to enhance your special day. Catalogues can be checked out so that you can review the various offerings in the comfort of your own home.